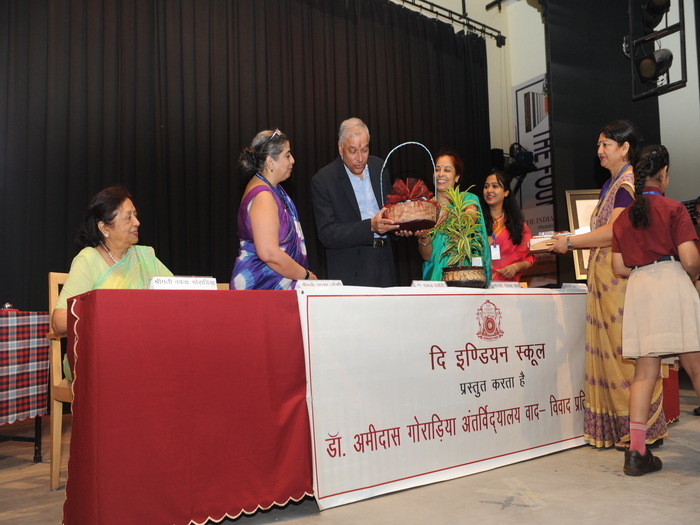 The 14th Dr. Amidas Goradia Inter-School debate in Hindi was held at The Indian School on Thursday, 9th August 2018. 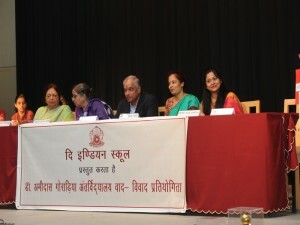 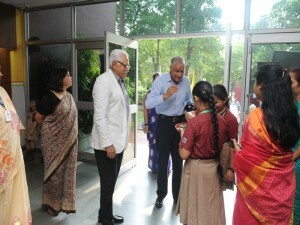 The event saw an overwhelming participation of 27 eminent schools of Delhi-NCR. The purpose of the debate is the promotion of Hindi as a national language among primary school children in Delhi. The chief guest at the event was Senior Journalist and popular media person Mr. Pankaj Pachauri, founder and editor in chief of GoNews, India’s first app based TV news channel.  Failures should be taken in one’s stride. 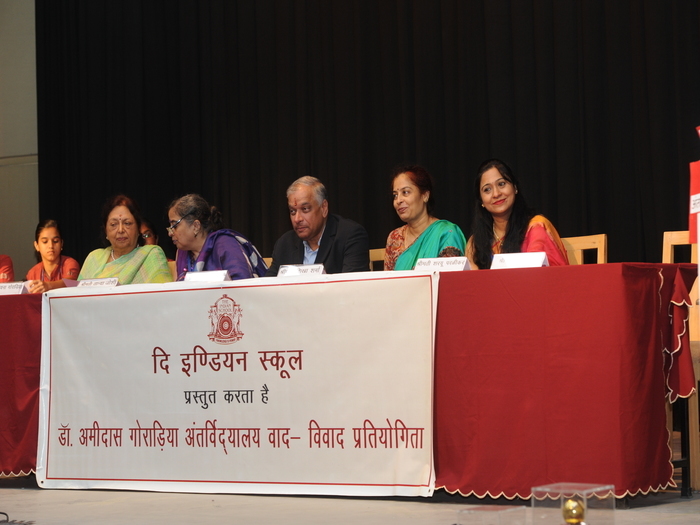 The debate was adjudged by prominent panelists, namely- Dr. Sanjeev Kaushal ( poet), Mr. Kamlesh Keshot ( journalist), Mr. Lalit Flaura ( writer and poet) and Ms. Kawaljeet Kaur ( Faculty at Gargi College). The judges were very impressed by the level of articulation of the children and the fluency with which they spoke. 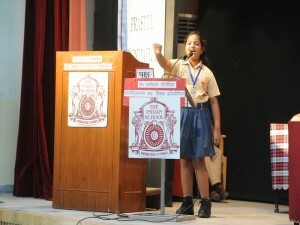 They complimented the young debaters for their confidence and the clarity of their thoughts. 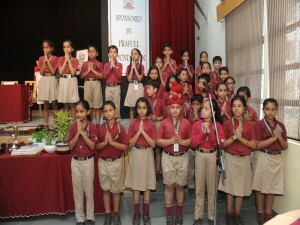 Principal Mrs. Tania Joshi announced the result. 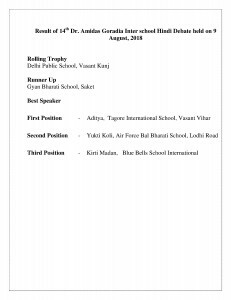 The rolling trophy was won by DPS Vasant Kunj, while the runner up trophy was awarded to Gyan Bharti School. 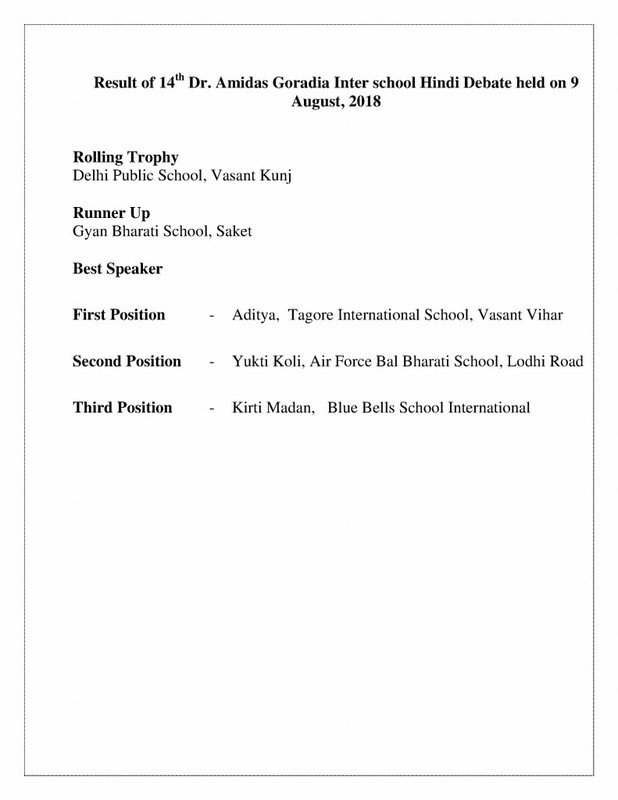 Aditya of Tagore International School Vasant Vihar was adjudged Best Speaker, Yukti Koli of Gyan Bharti School and Kirti Madaan of Blue Bells School won the second and third best speaker awards respectively. 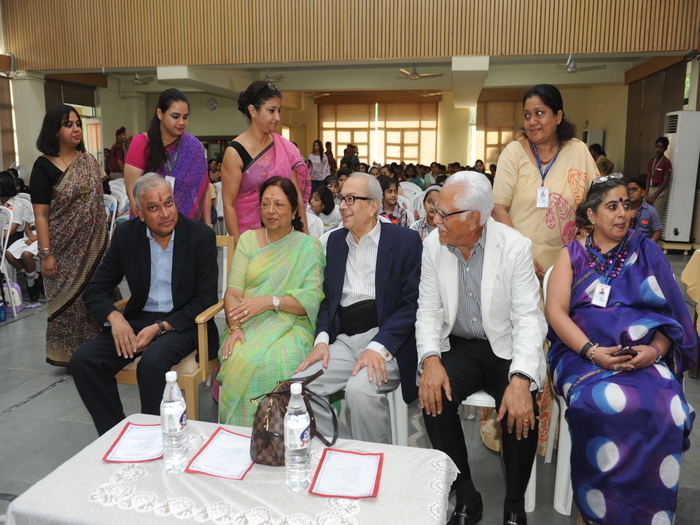 The enthusiasm and determination of the participants was commendable. The competition was a huge success.